First Line: The cold wind surging down the black ice-covered highway was like a blast from some frozen hell. Jana Matinova has been a member of the Czechoslovak police force for many years. She has always been a seeker of justice, although her calling has come at a very high price. The Communist regime destroyed her actor husband and her daughter's respect. The police force is all Jana has left. Now she's a commander stationed in the capital of Bratislava, and she's tracking a criminal who deals in extortion, murder, kidnapping, and human trafficking. Her investigation will take Jana from Kiev to Strasbourg, Vienna, and Nice as she hunts for a killer and the young Russian woman he is determined to capture... or destroy. 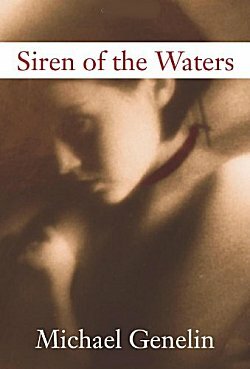 I looked forward to reading Siren of the Waters with a great deal of anticipation. It takes place in a part of Europe I know little about and deals a bit with the old Communist regime. Unfortunately the book has some problems that kept me from truly enjoying it. For all the amazing cities that the book takes place in, the settings are rather ordinary and never come to life. And in speaking of coming to life, Jana is the only fully-fleshed character in the entire story. The rest of the characters are two-dimensional at best. The story of Siren of the Waters depends heavily on Jana's backstory in Communist Slovakia, but it doesn't really advance the current investigation. When I finished reading this mystery, I had no real feel for where the series is headed and no real interest in the characters. I doubt very much that I'll be visiting Jana Matinova again.